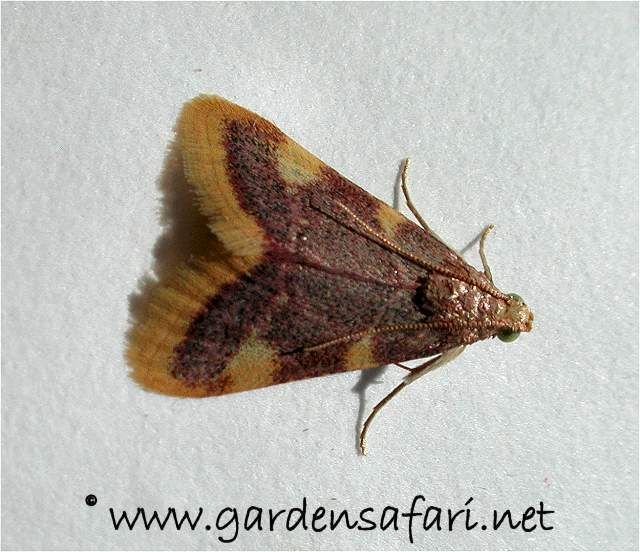 Introductory page to the moths in our garden with lots of pictures. Like butterflies moths are Lepidoptera, a huge group of insects. Some 120,000 species are known to man, but there is little doubt that perhaps the same number of species is still waiting to be discovered. All lepidoptera have rather large wings covered with scales and some species are without any doubt among the most beautiful creatures on earth. For a very long time now the group has been split up in two: butterflies and moths. Scientifically this is nonsense, but both scientists and the public still respect this distinction. 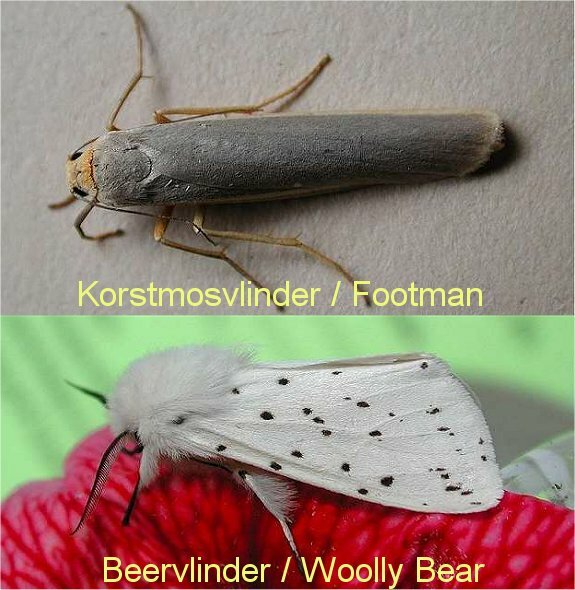 The differences between the two groups are among others the fact that the two wings of the moths are connected, which is not the case in butterflies. To the eye there is another striking difference: the way the antennae are constructed. All butterflies have long, thin antennae with a little knob on top. 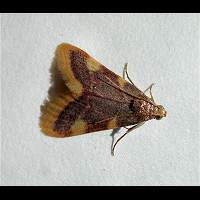 Some moths also have a wire like antenna, but it never has the knob on top (except for the Burnet and Forester Moths. 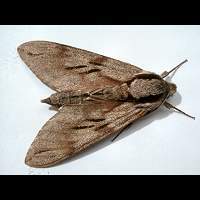 Most moths however have antennae which are more complicated: some look like combs, others like brushes and some are five times as long as the insects body. Yet another difference is in the colouring. 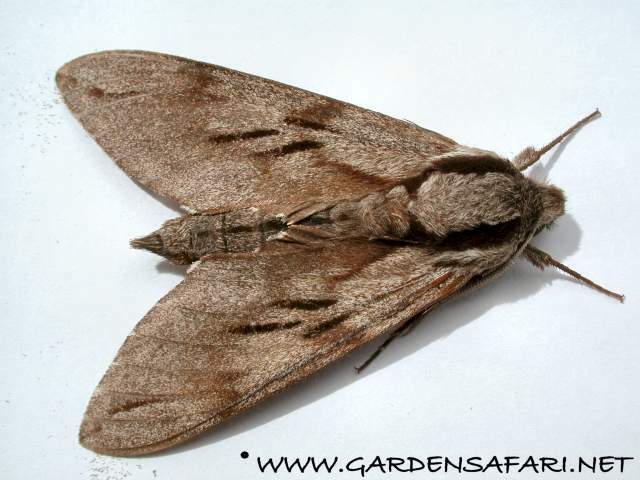 Even though some moths are beautifully coloured, most are plain, brownis grey or greyish brown. 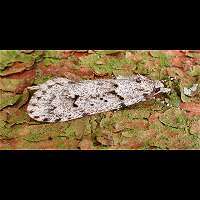 This gives them a good camouflage when resting during the day, for most moths are nocturnal animals. Butterflies are often very colourful. Often the underside of the wing differs from the upperside very much. By regularly opening and closing their wings, enemies can't get a visual hold of the body and do not know where to attack. This family is named after the very hairy caterpillars. 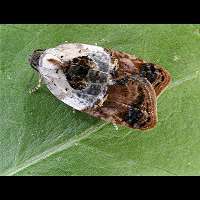 It is comprised of two subfamilies which look very differently once adult moths. 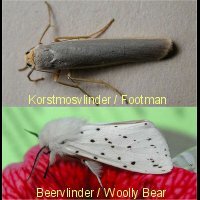 The real Woolly Bears, better known as Ermines are sturdy, often hairy moths looking like owlet moths, while the footman are very slender. This is due to the fact they roll their wings up in rest. They look like Grass Veneers, but are much bigger. Nowadays this family of Woolly Bears is considered to be a subfamily (named Arctiinae) of the new family of Erebidae. The big family of Geometers is named after the way the caterpillars move. The caterpillars have legs near head and tail only. So while the head stays in place, the tail moves forwards, looping the body. Then the head is moved forwards, untill the animal is a straight line again. Many Geometers have very big wings. Usually these are spread out entirely. The animal thus sits very flat on the back ground. Some species have small pointed wings. A few species hold the wings (partially) upright when resting. Despite the big wings they are clumsy flyers. Of some species the females are wingless. Recently quite a few Owlet Moths have been moved to another, new, family (Erebidae). We temporarily stick to the old systematics. Owlets are moths which when resting keep their wings partially folded over another. Then pointing downwards the wings are used to cover the body. Most species are strictly nocturnal, but there are exceptions, such as the very common Silver-Y. A few owlets are attractively coloured, but most are dull brownish or greyish. Contrary to the Geometers most Owlets are very capable flyers. 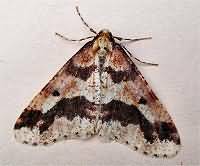 Traditionally moths have always been divided into macro moths and micro moths. Most bigger species are in the macro group. The remaining smaller species are called micro. Scientifically this split up is nonsense, but very useful. So size matters, but be warned: some of the small macro moths are smaller than some of the bigger micro moths! Most guide fields only deal with macro moths. 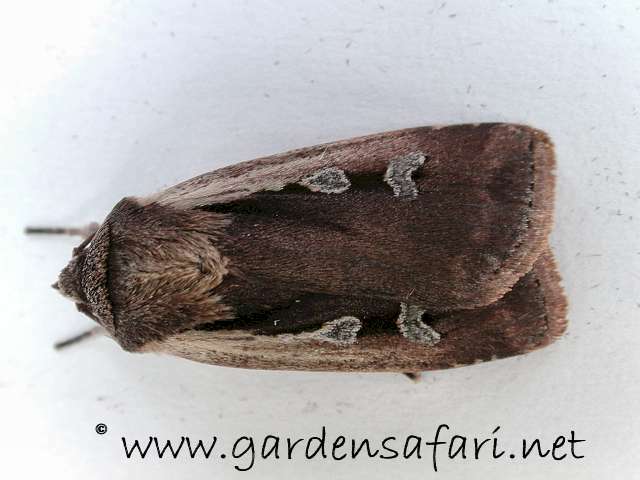 Here is a collection of macro moths not dealt with before, such as the swifts, prominents and hawk-moths. 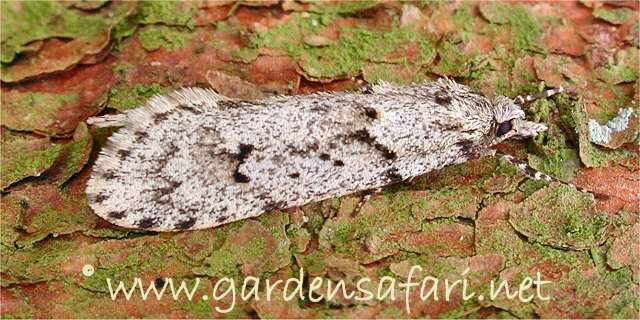 Tortrixes, also known as Leaf-rolling Moths, belong to the micro moths and most are small indeed. 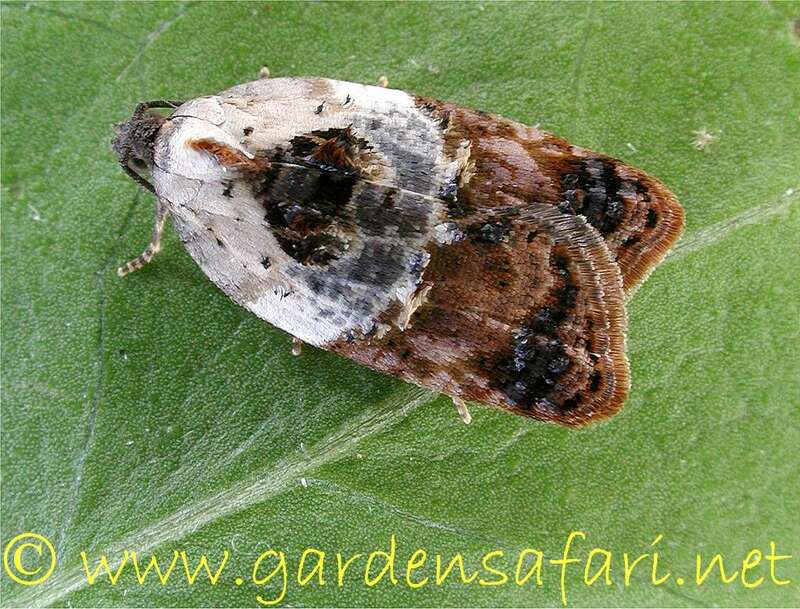 Looking like minute owlet moths, some species are very harmful in orchards, gardens or forests. There are over 300 species both in Britain and Holland. Yet the majority is readily identified. Many species look like bird's droppings and are hard to spot resting on a leaf during day time. 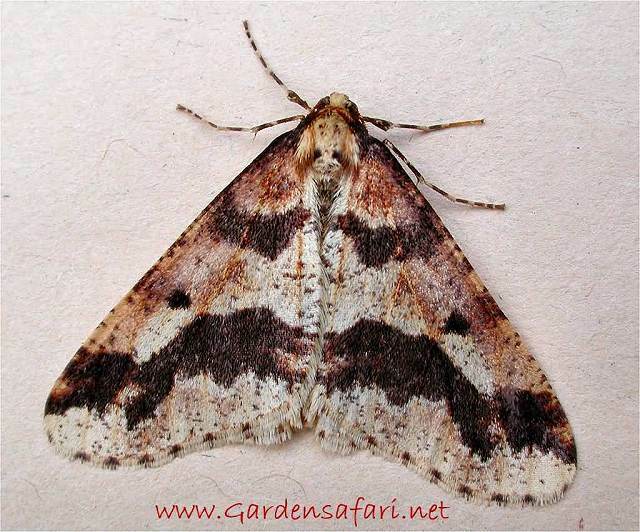 Some moths are hard to identify, for their wings are different from those of other moths. We deal with those moths on this page. Mind you though, they are not closely related at all and only put here because of their wings. Three families stand out. The Clearwings, small moths in possession of transparent wings. They are all active during day time. 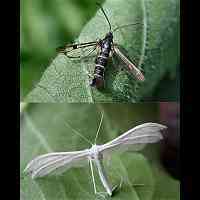 Next are the Plume Moths, which resemble Crane Flies because of their extremely small wings. 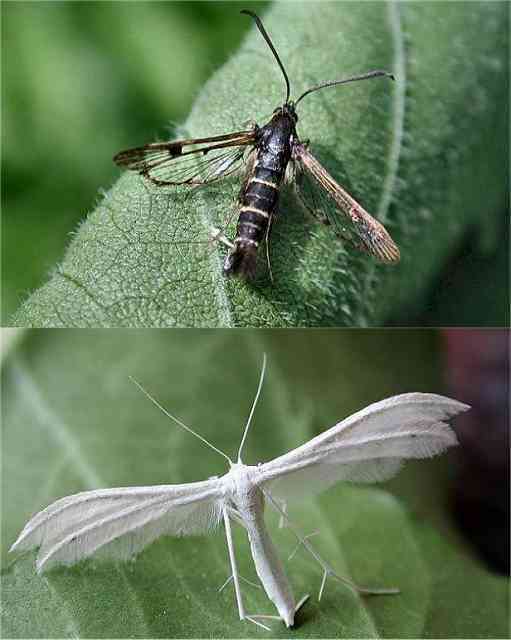 The Many-plume Moths actually look like a fan. Pyralid Moths, also known as Snout Moths, make a big moth family. Most species are very small, reaching a wing span of 20 mm or less. But there are also big species which reach a wingspan of some 40 mm. They are as big as the Small White. When resting all members of this family put their antennae on top of their wings. All other moths keep their antennae hidden under the wings when resting, or hold them up. All other small moths are dealt with here. 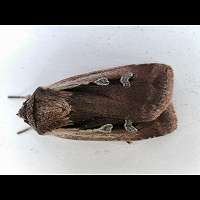 Including leaf mining species, the bag worms, the house moths and the longhorn moths.Nearly all species are very small, rarely reaching a wing span over 20 mm. This means they are usually less than 10 mm in length when resting.